Metal Hammer launched a limited edition Disturbed Evolution cover and bundle for issue #313, limited to 300 copies worldwide. 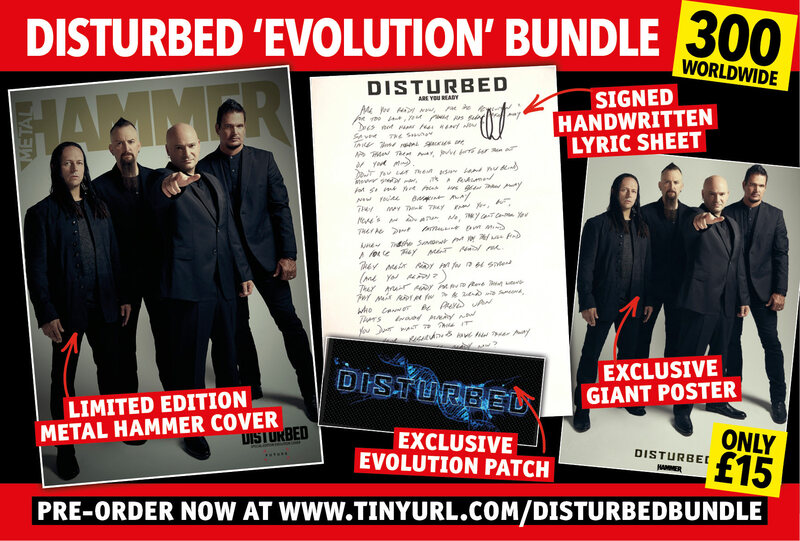 The bundle includes the latest issue of Metal Hammer with an exclusive Evolution cover, an exclusive patch, giant poster, and a handwritten lyric sheet signed by David Draiman. You can order the bundle HERE.